Author: Jahoda, Gloria Set In . . .
From its idyllic source in the Green Swamp, the Hillsborough River winds past columns of cypress and matted shrubs and opens into Tampa Bay, part of Florida’s urbanized, publicized western Suncoast. The river is not a long one, but the size of its legend in contemporary America is far-reaching. Many factors have made the area special: its natural history; its successive waves of immigrants; its wars, booms, and depressions. 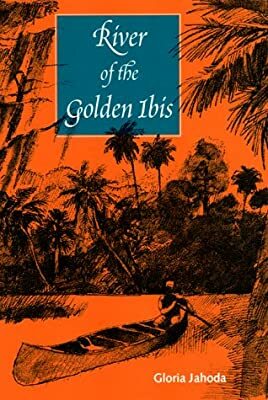 The cigar industry, banana exporting, cattle raising, fishing, and retirement have attracted many settlers in search of the "Golden Ibis." All too often the vision has proved elusive, but for some, like Henry Plant and Doc Webb, the spectacular was possible. For others, like the Seminoles, a way of life ended. In a narrative that is as exciting to read as it is historically compelling, Gloria Jahoda traces the Hillsborough River’s origin to prehistoric times, chronicles the arrivals of the conquistadores, the missionaries, and the marauders greedy for civilizing and for treasure, and points out how 20th-century ambitions threaten to destroy the environment as surely as earlier encroachment annihilated native peoples. Gloria Jahoda, who lived in Tallahassee, Florida, was the author of The Other Florida, The Road to Samarkand, and the novels Annie and Delilah’s Mountain. She died in 1980. River of the Golden Ibis was originally published in 1973.